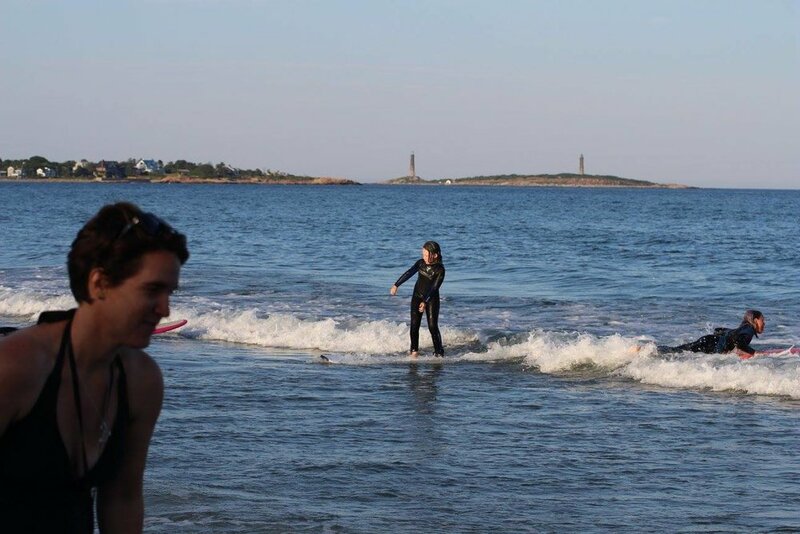 Kids Surf Night — Cape Ann SUP + Surf Co. Kids surf night is like a kids surf camp, without the commitment. We designed this kids surf night to be flexible and meet the "summer schedules." You can sign up on a session-by-session basis or save money by committing to more. Whatever works with your schedule and budget. We'll meet you at the beach with all the gear that you need. Just drop the kids with us, sign the waiver and we'll handle the rest. 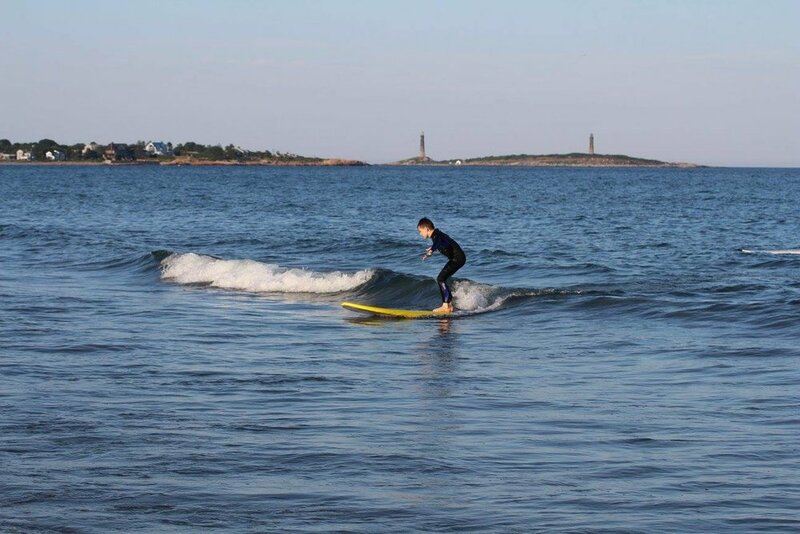 Kids Surf Night takes place every Monday, Tuesday + Thursday night from 6/25 - 9/13. Beginner it's open to kids ages 8+ and Intermediate is open to kids ages 10+ who are comfortable in and around the ocean (meaning, they can swim - well). COST: $45 for a one-time drop in. There are 3, 6 and 9 packs available for discounted rates. We do ask that you sign up online prior to the session. 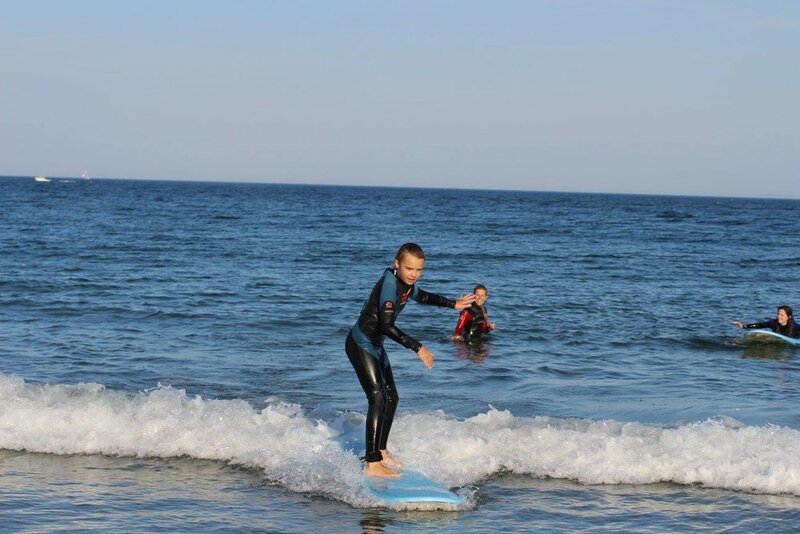 Check out the photos below to see the fun we have had in past kids surf nights. 2.) Once you have a code, return to the site to sign up for the next date you would like to attend. You will have to select "1" surfer kid. Then a form field will appear where you can enter your code. If you have any trouble at all, just give us a call!